If one were to attribute intelligence to a plant then this would surely be judged as one of the smartest. 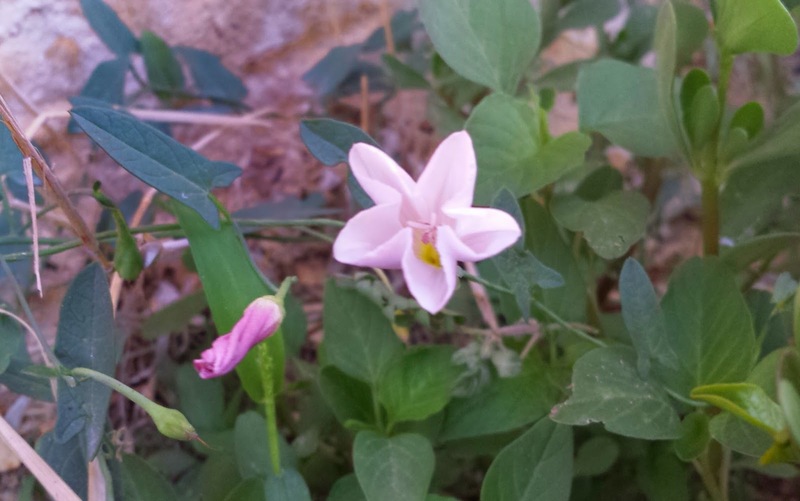 Few Maltese wildflowers have made as much of a virtue of dirt and debris as the field bindweed (in Maltese: Leblieb Abjad or Leblieb tar-Raba). It is there, where few will bother looking and where there is little competition for the meagre resources that this plant is usually to be found. It does not, however, limit itself to that environment for it can also be found on the edges of cultivated fields or else feasting on the nutrients of fallow fields. Where it comes across other plants or weeds it tends to work its way around their stems, hiding in plain sight to avoid detection. This latter trait is what earned the bindweed its latin name of Convolvulus Arvenis. The first of those words is derived from convolvere meaning to twine around. For the record, arvenis means farmed land. Evolution has blessed it with an incredible ability to not only withstand the heat of the Maltese summer but to use the dry conditions to its benefit; it exploits the absence of other plants to widen the reach of its roots. A wise plant and also a cunning one that has developed a mechanism to avoid those who would seek to exterminate it by pulling out its roots. At the merest pull these roots break off thus allowing at least a part of the plant underground and with it the ability to grow again, something that it does with great rapidity. This, then, is a plant that is built to survive no matter what happens. Yet nature has also gifted it with a flash of flair in the delicate flowers that it produces, flower that can be pink, white or else white with some pink. There is a fascinating element of design to these flowers – each one is made up of five petals – and also the curious habit of each flower wrapping itself to a close every evening only to re-open in the morning a few minutes after sunrise. 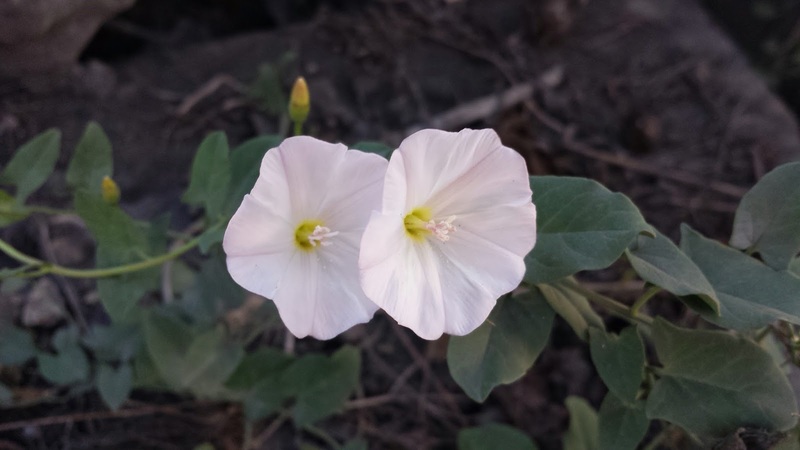 Further details on the botanical properties of the Field Bindweed can be found here.